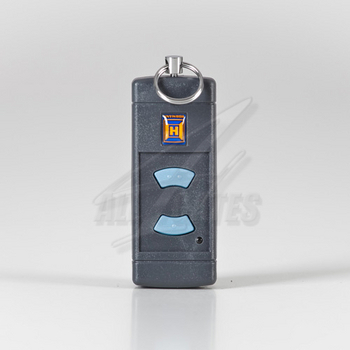 2-button 868Mhz micro keyring hand transmitter (Grey body with blue buttons). Please Note: This unit is only compatible with Hormann operators with a frequency of 866MHz. The Hormann HSE 2 Handset works on a Secure & Approved Frequency for both you and your property's protection. Includes key ring and battery. "Great product and great price. Thanks."